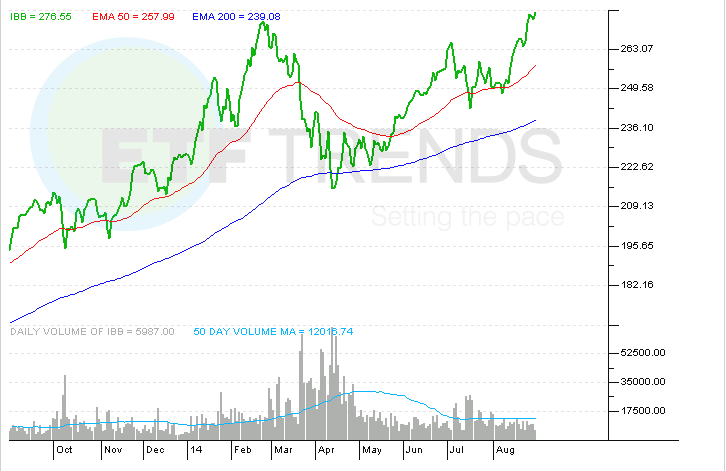 Even with the August gains, some investors are cautiously approaching biotech ETFs. Combined, IBB, FBT, BBH and XBI added about $180 million in new assets last month, a fraction of the $752.8 million hauled in by the Health Care Select Sector SPDR (NYSEArca: XLV). Although the quartet finished slightly lower, BBH, FBT, IBB and PBE all made new all-time highs again on Monday.